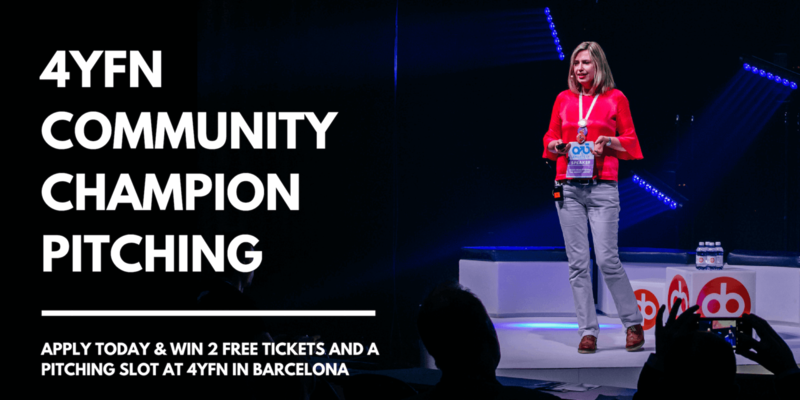 4YFN and ArcticStartup are teaming up for the first time to select the best startup from Finland to pitch as “Community Champion” at 4YFN Barcelona. Discover the startup finalists, carefully curated by ArcticStartup and meet founders, investors, corporates and original thinkers during our networking drinks. Finalists will be pitching at Maria01 on Thursday the 17th of January in front of a jury curated by ArcticStartup. The winner will get 2 free tickets, 50% discount on a startup booth, but most importantly, a pitching slot at 4YFN Barcelona 2019 (27th of February 2019). We will raffle a few tickets to the audience, so come join us on January 17th at Maria01! Deadline to apply: 14 January 2019. *By proceeding with this registration, you allow 4YFN and ArcticStartup to process all information you have provided, in order to organize this event. Please note, that all parties will also receive a copy of your registration details. 4 Years from Now [4YFN] is the innovation platform for MWC, enabling startups, investors, corporations and public institutions to discover, create and launch new ventures together. A critical element of MWC, 4YFN is a hub for innovation and digital entrepreneurship to connect the entire startup ecosystem globally.